The fifth time’s the charm. Maybe. It’s down to me now. All the others are done with their work. It’s time for me to get it done and get it right. I’ll get it as right as can. I’ve invested too much to not give the final stretch my best shot. 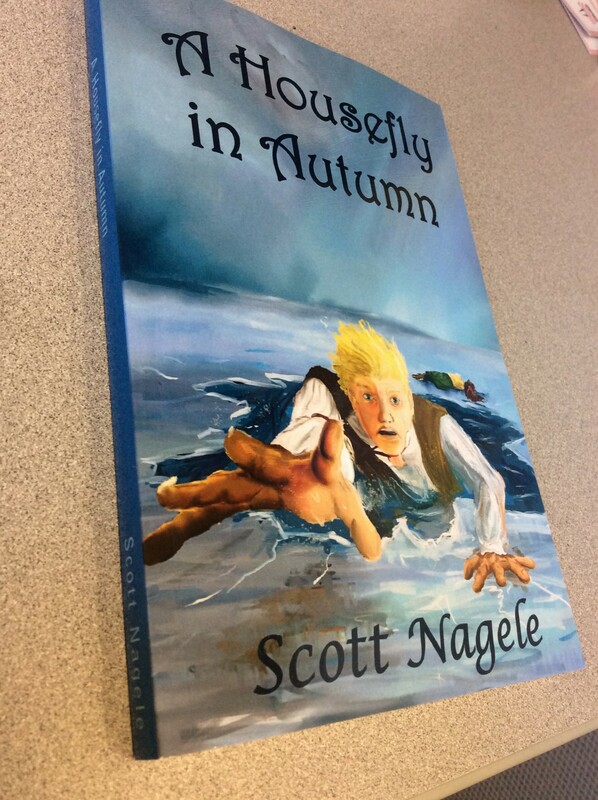 The fifth proof copy of A Housefly in Autumn hit my mailbox yesterday. That’s right, the fifth proof. As I said, I’ve invested a lot. Will the fifth proof be the last? Cross your fingers. This copy is mine and mine only. All the skilled people I’ve been fortunate to have help me have done what they could. It’s just me and my book. There’s something liberating in this. I’m back in control of the pace of things. I don’t have to wait for anyone else. The people who’ve helped me have been more expeditious than I had any right to ask, but waiting any length of time is hard when you’re eager to get on. There’s also something daunting in it. I’m the last line of defense against little errors hidden in the text. Whatever gets past me this time becomes dirty laundry hung out for the public to see. Thus begins the first of the “pins and needles” readings. If I find no more errors, I am free to release the book for sale. That would be a happy accomplishment, marred only by nagging doubt about the one I missed. Or the two, depending upon how susceptible I feel to nagging from the back of my mind. The even more intense pins and needles will happen the first time I look at the book after it has been published, when every page holds a potential embarrassment, despite all my efforts to eliminate them. My goal as a self-publisher is to produce books that deserve a spot on the same shelf as those published by Random House or any of the other big names. I haven’t reached this goal yet, but with each book, I think I get a little closer. But I still make mistakes, and in self-publishing you don’t get to blame mistakes on your publisher; you can only blame yourself. I do blame myself, but then I do my best to fix it, learn something, and move on. There’s another story to write. And if that story turns out to be worth publishing, there’s another book to produce. This means more hard work writing, more tedious work editing, more finding the right people to help, more waiting while those people do what they do, more frustration at getting it all to fit together, and more pins and needles at the end when the skivvies are hung out to dry before the eyes of all who wish to look. But all that is for tomorrow. For today I have a fifth proof to make as right as I possibly can, so I can inch a little closer to Random House and to saying I know what I’m doing as a writer and a publisher. Wish me luck. Thanks, Tom. This one is teaching me how much I still have to learn. Good luck and hope all goes well! Thank you, Dean. This one has certainly been a challenge. Good luck and may this be the final edit. Amen! I need a vacation from editing.